I was just on my way back home today, right at the end of a pretty long and tiring day in the sun, when I stumbled across this image. I actually tried to ignore it, as I was feeling pretty tired, and wasn't really looking for any more pictures. I just didn't really have the energy to get all the permissions and explain what I was doing, and so I walked on past. About 200 yards down the road, I was still thinking about it. Reluctantly, I turned myself around and went back to start negotiating with everyone involved. Didn't take too long and I actually really like the picture. 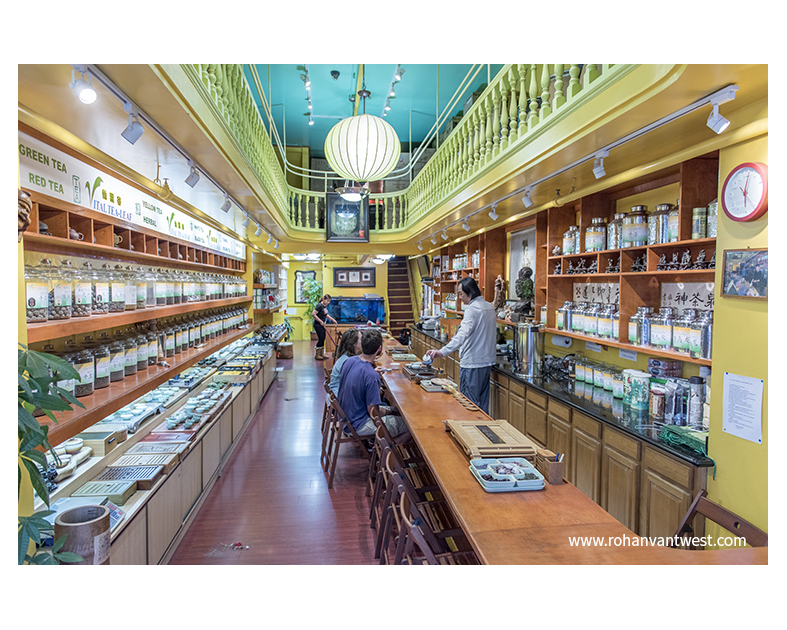 Tea Tasting in Chinatown. 2016.